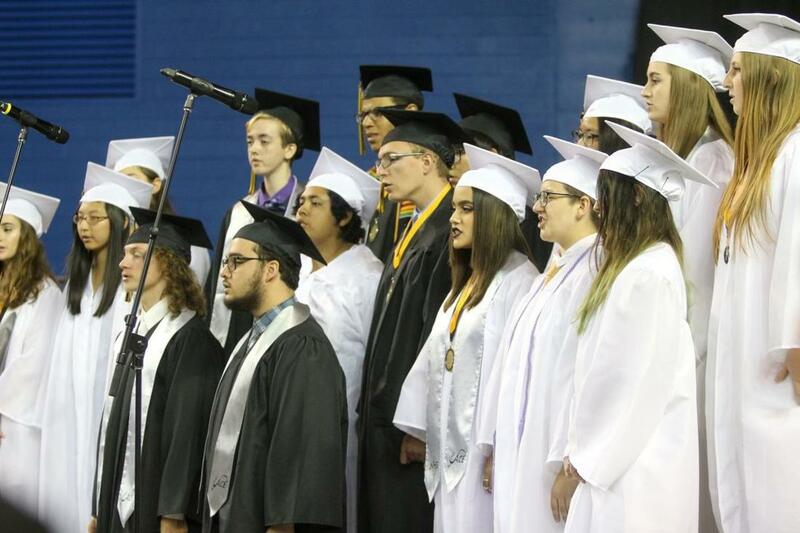 NHS Chorus seniors sing the alma mater for the final time as high school students. When, through thy portals, fair old Newark's twilight falls, Bringing its silence to our high school halls, In that happy moment, love for Alma Mater swells, And the heart outpouring of her glory tells. Far from thy portals yearly rove thy loving sons; Yet, in their dreaming, e'er thy name returns. 'Tis the same fond spirit, which the memory gushes o'er. And the lips but echo that old song of yore. Chorus Fees: $20 due in Sept. There is fee for each music student. The NHS Music fees are used to pay for concert piano accompaniment for choir concerts, clinicians, competition fees, miscellaneous music supplies, and the music banquet. MUSIC FEE DOES NOT INCLUDE CONCERT ATTIRE!